You can find the Atal’Dazar entrance within Zuldazar, Zandalar. The first 3 bosses can be done in any order. 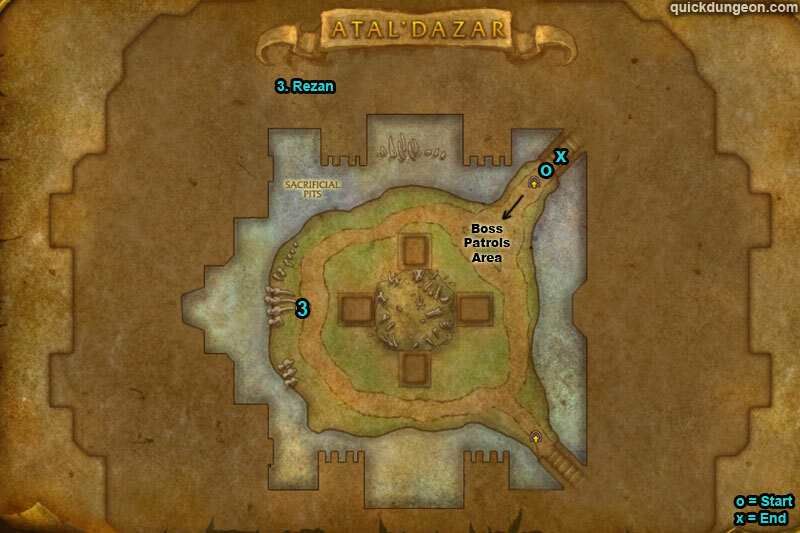 Some groups kill Rezan first. Most groups will jump over edge to 3rd boss instead of going round to steps. Rezan also patrols the area. /i Tank use damage reduction for ‘Gilded Claws’. 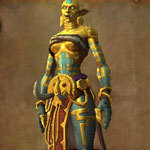 Healer dispel ‘Molten Gold’. When boss casts ‘Transfusion’ players step in then out of a red pool to gain ‘Tainted Blood’. 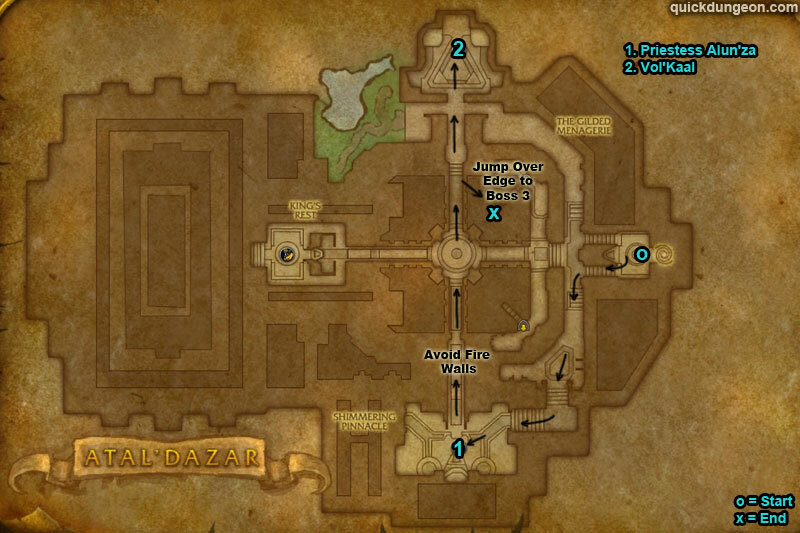 Heroic Differences: Avoid the golden cauldrons. 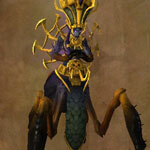 Spirit of Gold will move to absorb Tainted Blood pools. /i Destroy all 3 totems to stop boss healing. Avoid ‘Toxic Leap’. Interrupt ‘Noxious Stench’. Move out of green ‘Toxic Pools’ on ground, these don’t disappear. Tank move boss around room to avoid green pools. 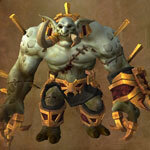 Heroic Differences: When a totem is destroyed will begin to cast Reanimate & revives. /i Tank use damage reduction for Serrated Teeth. Hide out of line of sight when casts fear ‘Terrifying Visage’. Avoid running over bones on floor. Player pursued run away, boss will try to devour you. 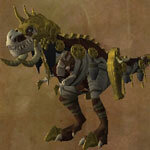 Heroic Differences: When boss runs over bone piles they will now awaken raptors. /i Players affected with ‘Soulrend’ move away from boss to drop off soul. At 100 Energy boss pulls souls towards her, focus kill them. Tank use damage mitigation when boss casts ‘Skewer’. Move away from spiders. Interrupt ‘Wracking Pain’. 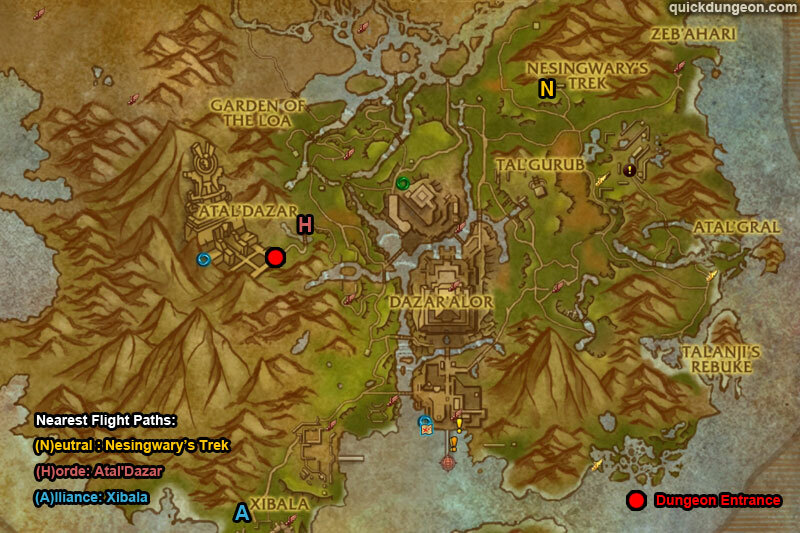 Heroic Differences: Soulrend is affected on all players.